Economics and Applied mathematics are not inherently difficult topics. In a lot of cases, they are merely an expression of some specific ideology in a symbolic form. One example of this, is the Laffer Curve. 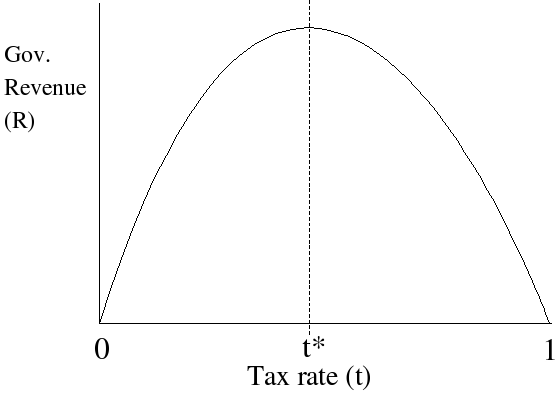 The point of the Laffer curve is to show the relationship between the amount of revenue a government collects at each point of a tax rate. A tax rate of zero percent obviously raises zero revenue, while a tax rate of 100 percent is what mathematical economists call “slavery”, and is usually avoided as a fiscal policy. The idea is to find the point on the curve which revenue collection can be maximized. Obviously, this parabola is nothing more than a graphical illustration of the porridges that Goldilocks had to drink. Too hot, and no one has any money to pay taxes. Too cold, and government gets no revenue. We have to find the point where its just right. The problems with this should be fairly obvious at this point. In a country with a progressive tax rate, you will need more than one Laffer curve. Sometimes, a lot depending on the demographic. This is a problem, because the Laffer curve was originally intended to help rich people. There may be multiple peaks on the curve. 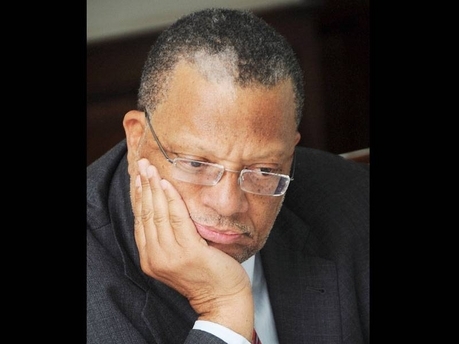 There may be other variables at play affecting tax collection. If they are quantifiable, you’re going to have to get out that Div, Grad and Curl. If they are unquantifiable, like say, a Kafkaesque bureaucracy that prevents people who want to pay from paying, well then, that’s another problem. The first bullet point needs some more explaining. The Laffer Curve was formalized by one Arthur Laffer, one of the main proponents of Supply Side Economics. The thrust of his argument was that the tax rate that maximizes revenue was at a much lower level than previously believed: so low that current tax rates were above the level where revenue is maximized. So, what should be done was to lower the tax rate – for rich people. Previously, Supply Side Economics was called horse and sparrow economics. Why? According to John Kenneth Galbraith, the theory dates back to the 1890s when it was called horse and sparrow theory — i.e., if you feed horses enough oats, it will pass through their digestive systems and their droppings will provide enough leftover oats to feed the sparrows. 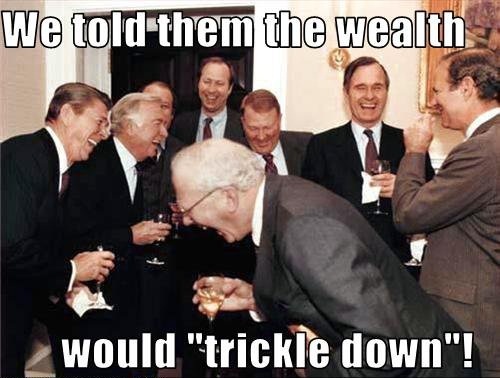 It is now known as either Reaganomics, after its most popular promoter, or trickle-down economics,, based on the idea that the rich will use the money saved from taxes to re-invest in the economy, instead of, you know, hiding it the Cayman Islands. Suffice to say, the implementation has had some controversial results, especially under George W. Bush. During this same period, the dollar slipped against world markets, losing so much ground that some nations chose to no longer peg their currencies to the US dollar. Once at par with the euro, the US dollar lost a third of its value. When Bush junior entered office, the Canadian dollar was worth about 65¢. By January 2008, the Canadian dollar exceeded the value of the US dollar for the first time since 1976, although it has since receded to about 95¢, due in part to governmental intervention,and falling oil prices. However, like all economic policies, it has its place, but a problem occurs when you shift the tax burden from the rich to the middle and poorer classes. We are waaaayyyy on the right hand side of he Laffer Curve – meaning tax evasion and black market trading, but the cool thing about the above curve is that it focuses on growth maximization, not revenue collection. You keep collecting more and more taxes, you will reach a point where you can’t get anymore taxes, just like how a Ponzi scheme reaches a point where it can’t get bring in any more money to pay its investors.What you need to do is stop taxing middle and lower class people, fix the bureaucracy and fix our infrastructure, if you want to get your our damn money. In other words, Supply Side economics for everybody. Phillips and company seem to believe that only way to maximize growth and tax revenue is through more and more taxation. But anyone with half a brain should be able to realize that doubling taxes will not double tax revenue. That is like having nine women pregnant for one month to get a baby faster. The Laffer curve is a parabola, not a straight line, and is merely a mathematical model of common sense. Perhaps if Dr. Phillips paid attention to the policies of previous administrations, he would realize that the Laffer Curve is no laughing matter. Previous Previous post: What would (Jamaican) Jesus do?